CMS - Eric D. Brown, D.Sc. 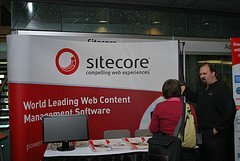 Sitecore or Sharepoint – which is the better CMS platform? I’ve been talking to quite a few folks recently about Sharepoint 2010 to get feedback and insight into the product’s current acceptance and usage rate. One key area that interests me is around content management and content management systems. I’ve worked with a lot of them in the past and my two favorites right now are WordPress and Sitecore. WordPress is a no-brainer for individuals, small businesses and is a very good platform for medium / large businesses with a bent toward open source software / LAMP. For those organizations that have a .NET focus, Sitecore has done well for itself over the last few years and is great for those businesses some money to spend for Sitecore licenses and development efforts. Lately, I’ve been hearing from friends and colleagues that Sharepoint 2010 is being hailed as the next great content management system (and/or collaboration platform and/or search platform and/or …). Of course, those touting that are Microsoft and their sales / partnership channel for the most part. I say that partly in jest, but also because I haven’t found many developers, content specialist or marketing person to echo that statement…none have been impressed with Sharepoint as a pure Content Management System (CMS). Does this mean Sharepoint as a CMS is bad? No…just means that its features haven’t been enjoyed by end-users. For those of you out there with any history in IT, you’ll know that Sharepoint has been around for quite some time and there have been many iterations and foci of this platform. Its a document management system, a work-flow system, intranet system, security management system and has been used for much more. The new 2010 version is being touted as “collaboration software for the enterprise” by Microsoft….which isn’t a bad marketing approach. Sharepoint is a great platform for collaboration and community. I’ve seen some wonderful systems built for those functions….but is it a great content management system? Can it really compete with pure CMS platforms like Sitecore? Sharepoint 2010’s new content management features are impressive, but anyone with experience can see these new features for what they are – a classic Sharepoint reorganization and reuse of functionality plus some new features to bring out this ‘new’ CMS functionality. I don’t mean this in a bad way…this is one of the strengths of Sharepoint…it can do most anything. Sitecore, on the other hand, is built to be a CMS from the ground up. There’s no pretense that Sitecore is anything more than a CMS. That’s why I like it so much. Is the product perfect? Nope…but no product is. So…which is better as a CMS….Sitecore or Sharepoint? For a pure content management system, I’d pick Sitecore hands down. The system is built to be a Content Management System and has a focus on communications & marketing. Sitecore is focused on delivering content to external audiences and improving insight into website visitors and user experience via new products like the Sitecore Online Marketing Suite. Of course, Sharepoint can be used as a CMS and is now being touted as one, but I currently find it hard to recommend Sharepoint solely on its CMS capabilities alone. Of course, very few IT shops are going to look at Sharepoint for a CMS only…most are already using Sharepoint for other functionality like internal collaboration, document management, security, etc and their focus may soon move to using Sharepoint for external focused content delivery. I’ve implemented Sitecore and Sharepoint and used both products. I like some things about Sharepoint and some things about Sitecore. For an external content focus, choose Sitecore. For a marketing driven platform, choose Sitecore. 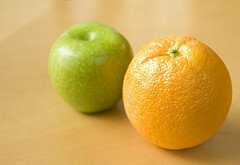 At the end of the day, comparing Sitecore and Sharepoint as CMS platforms is like comparing apples and oranges – they are different products targeted at different uses. Sharepoint can (and is) used as a CMS – but Sitecore has a more robust CMS feature set for marketers. If you are looking for a .NET based CMS, either product will work – but right now, I would lean toward Sitecore when looking for a pure CMS that provides fast development times, stable platform and ease of use for non-technical content creators. Of course, each organization is different…don’t take my word for it…check out both products and run them through your technology selection process to determine which is best for you. I’m coming up on 2 years of working with Sitecore, a .NET Content Management System (see my post titled “Some Thoughts on Sitecore CMS” for previous thoughts on the subject). These two years have been interesting, challenging and exciting and educational. Since I’ve written about Sitecore in the past, I wanted to take some time to circle back around and share some additional thoughts on Sitecore CMS implemention. While my experience has been with Sitecore, these are general types of CMS questions, thoughts and strategies and could be applied to any other platform. Before I get into Sitecore, let’s look at CMS implementations in general. 1.) Why do you want or need a CMS? This seems like a simple question…but if your answer is to ‘manage web content’, you haven’t completely thought through the strengths of a CMS. Content Management Systems provide much more than just content management; they provide a means to push content ownership out to the subject matter experts. This holds true for all CMS platforms, whether Sitecore, Ektron, Umbraco, Interwoven, Drupal, WordPress (yes..it is a great CMS) or one of the many others. 2.) How will you allow content owners to actually own the content? 3.) Who “owns” the CMS? 4.) Do you have a web & marketing strategy? Who “owns” this strategy? This is one of the questions that seem easy..but it isn’t. Does your marketing department own the web? IT? PR? Who sets your web strategy? Do you have a strategy? How does your CMS driven web fit into your marketing strategy? Answer these questions before you move into your CMS implementation program and you’ll save yourself a lot of trouble. I’m working on another article that addresses these questions (and others) that should be part of an organizaiton’s technology selection strategy plan…look for that article in the future. Now, its time to look at the technology. For those that don’t know, Sitecore CMS is a .NET platform. If your organization is a Microsoft shop, Sitecore is a great fit for you. You do have other options (Sharepoint, OpenText, etc) but my experience has me recommending Sitecore over all others in the .NET world. You’ve answered the four questions above and figured out the high-level stuff…that was easy right? Not really…its harder than it seems but determining this stuff up front will help tremendously once you start implementing Sitecore CMS as it will driving your implementation strategy and plan. If you’ve got the budget, hire an outside consultant to help you with this step in the project. If you bring in the right consultant, they could also act as the overall CMS Program Manager (more on this later). Now that you’ve worked through the pre-implementation phase, what now? Time to get your Sitecore CMS platform implemented. What’s the first step? Grab your development staff and get some Sitecore Training to get certified. This certification is much more than just a piece of paper…it gets your team to a point where they can understand the Sitecore terminology and best practices. This often overlooked step in CMS implementations tends to come back around and haunt the organization at a later date. Spend the money up front and you’ll save money in the long run. Implementing the basic Sitecore CMS system is a fairly straightforward process. The hardware requirements are well documented and installation is straightforward. Sounds easy right? So far, it is. Development – Developing for Sitecore CMS platform isn’t too different than any other .NET development effort. Using .NET best practices, development isn’t too difficult, but the architecture of the platform is extremely important. Take some time to think about your content and IT infrastructure at this point. Content – You’ve got a Content Management System (or at least one that is being implemented). Time to start implementing your content architecture plans and filling your sitecore tree with content. This initial Content work should be done by a single content team…do not leave this work to your content owners. Take this opportunity to reorganize your content as necessary. Training – In addition to developing out your website, applications and content, you’ve got to start introducing Sitecore CMS to your organizations’ users. This means lots of meetings, training and discussions of what the CMS is and how it can help them. One of the often overlooked pieces of a CMS implementation is end-user training. Not only do you need to train the organization in the use of the platform, but also in the organizations web & content strategy. As you can see, implementing a CMS platform like Sitecore is quite a large undertaking even for a smaller organization, but with proper planning and knowledge of Sitecore CMS, you’ll do fine. CMS implementations are much more than a ‘project’…you’ve got a Program here. From my experience, an implementation in a medium to large organization requires a Program Manager to lead the different projects with project managers heading up each of the main thrusts of the project (Hardware, Development, Content, Training). There are many different pieces to an implementation. You’ve got to worry about IT Infrastructure, Software development, web design, web content and other topics. Spend the money upfront to get a good Program Manager (use an external consultant if needed) and Project Managers (you could use internal PM’s for this). If you approach this right (and have the budget), you can bring in a consultant to help throughout the project (from technology selection through final implementation). While a CMS implementation is a large undertaking, it’s fairly straightforward if you have some knowledge in web strategy, technology, content, marketing and Sitecore CMS. While there are a lot of technical issues to work through, the most difficult part of a CMS implementation is really the content strategy, user education and user adoption aspects…this is where experience and thought leadership comes into play. If you’re looking to implement a CMS (Sitecore or otherwise), forget about the technical aspects of the CMS when you start out…look at the business first to make sure it is capable of sustaining your web & content strategy. Understand the business needs first then find your CMS and implement the proper workflow and content architecture to meet the current and future needs of the organization. This is a common sense stuff, but often overlooked when it comes to CMS projects. There are many people & organizations that can help…I know many of them and would be happy to help you find the right person or organization to help with your Sitecore (or other platform) implementation. Give me a call or email and I’ll do what I can to help. One of the projects I’ve been working on over the last few months is the implementation and customization of a Content Management System (CMS). The CMS chosen by my client is Sitecore CMS, which is garnering some attention for its somewhat unique approach to the world of CMS and was recently named a “Cool Vendor” by Gartner. For a review of Web Content Management Systems, see Ziff-Davis’ CMS Review on Amazon titled “Web Content Management Systems Product Comparison Guide” (affiliate link). Sitecore’s product is pretty interesting. It’s a .NET based product that gives you the ability to (er…forces you to) create everything from the ground up for your website. Everything is customizable…layouts, templates, everything. The product is delivered as a .NET ‘solution’…in other words, you can open the ‘site’ in Visual Studio and customize to your hearts content. You have a good sized website and/or many websites to host. You are a Microsoft shop with SQL Server, Windows Servers, etc. You have a development staff who are fluent with .NET (C#, ASP.NET) or are OK with paying an outside firm for this work & expertise. You are willing to invest in a long-term approach to migrating all your websites and web apps into a .NET environment (this gives you your biggest ROI in my opinion). You are OK with looking at a payback period of over 1 year. My personal opinion is Sitecore is at about 18 to 24 months or longer depending on what you spend to implement and what customization you have done. For the developers out there…if you’re interested in jumping on a bandwagon and learning a new product, there is a tremendous need for sitecore developers in the marketplace. I’m contacted ~3 to 4 times a week for resources. You can download an ‘express‘ version from Sitecore for free (not to be used as a commercial site) and join their Developer network to jump in and start learning. Sitecore is a good product and provides a very good ‘skeleton’ for a CMS but might not be the best selection for anyone looking for a quick turn CMS and/or quick payback.